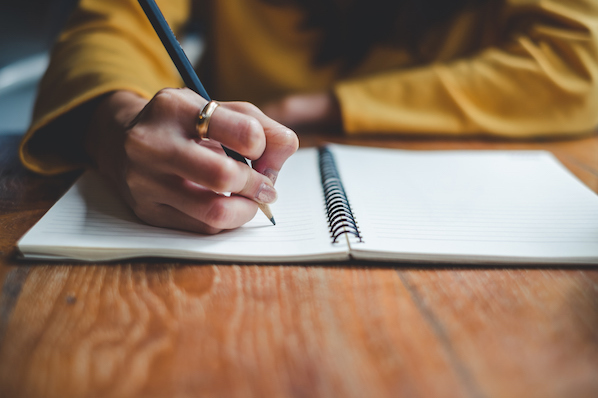 What’s the toughest part of writing a blog post? For a lot of people, it’s the conclusion. You spend a long time -- maybe hours -- writing the perfect article. You do all the outlining, research, formatting, and then you get to the end. Now what do you say? A lot of writers whip out a half-baked conclusion, or shirk it altogether. But if your conclusion is lame, then the whole piece falls flat. The most successful articles have strong finishes, where the conclusion is one of the most powerful components of the article. How do you write powerful conclusions for your blog posts? Luckily, it's not too complicated -- you can even follow a sort of formula. Here are my favorite tips for creating a really powerful conclusion for any blog post. 1) Call it a conclusion. In my opinion, the best conclusions are outright labeled "Conclusion," either with a header (as in my example below) or with the phrase "In conclusion." I’ve seen some very good writers call the end of the article something differently, like “Now What?” or “Wrapping things up…” These might work for them, but I personally prefer to be very straightforward and direct throughout the entire article and at the end. When a reader sees “conclusion,” she knows exactly what the section is going to be about. It helps the blog post to end neatly. When the reader comes to the end of a well-written article, they can feel the article begin to wrap up and they're prepared for an ending. When you're done with all your main points, the actual ending of the article should be short, and ideally shouldn't include any new information. I usually write a few sentences, although occasionally, I break it down into a few paragraphs. 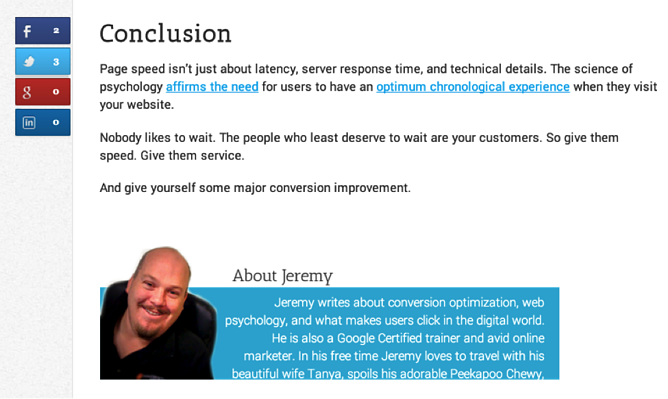 Below, you'll find a great example of a conclusion from JeremySaid.com. 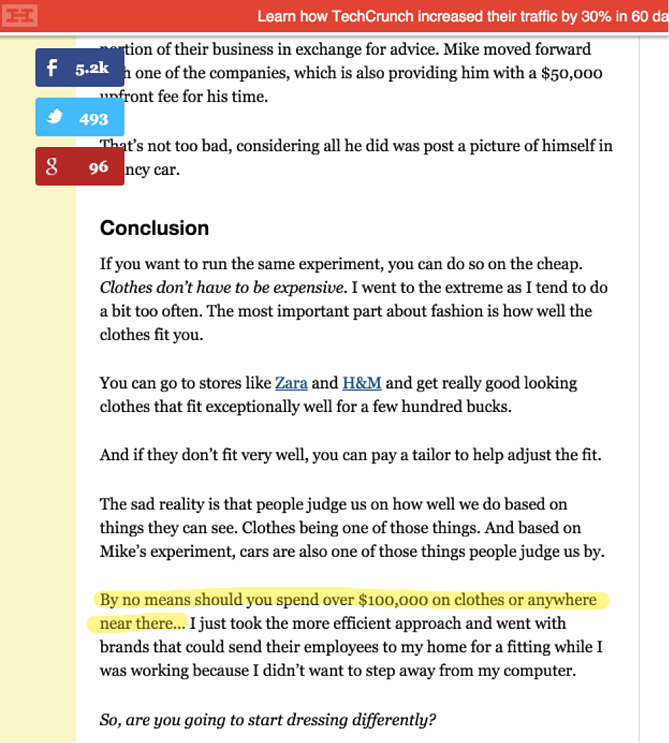 Notice he slows the article down nicely, includes a bit of a call-to-action, and a full stop. It's short, but compelling. A conclusion is a chance for you to relate with your audience, human to human. This is especially important if you’ve just finished writing an exhaustively detailed or complicated technical post. To help breathe at the end, make a few personal comments. Why? Because personal is powerful. People will respond to your CTA more effectively if you share a personal anecdote or mention how you’ve dealt with the issue. 4) Don’t put any pictures in it. I have images or screenshots throughout most of my articles, but when I hit the conclusion, I stop. Adding images to the conclusion adds unnecessary length and makes the conclusion seem longer than it needs to be. 5) Make any beneficial or necessary disclaimers. A disclaimer is a way of clarifying what you’re saying so you can be sure your readers take away the right message from your post. I'm known to slip in a disclaimer at the end of an article here and there, and I usually end up writing it after reading through the completed article. I think to myself, "Hmm, I should make sure that they understand x." SO I jot down a quick disclaimer in the conclusion. If you do nothing else at the end of your post, make sure you include a summary. A summary is a quick flyover of your article. You can go point-by-point if you want, or you can just sum up the big idea in a few sentences or less. They allow you to reinforce your message and make it memorable. 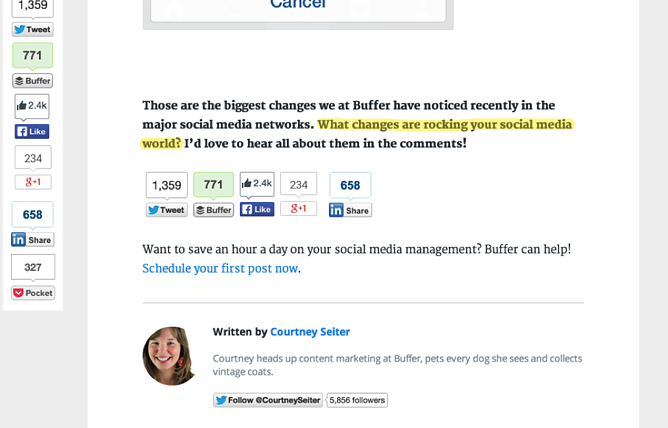 Your article is about one main thing, so you should remind your users about it at the end of the article. Below is an excerpt from the conclusion of a Lifehacker article about doing a detox. The author’s main point is that you don’t really need a full-on detox, you just need to eat healthily. His conclusion contains only three, short sentences, but they perfectly summarize the entire article. 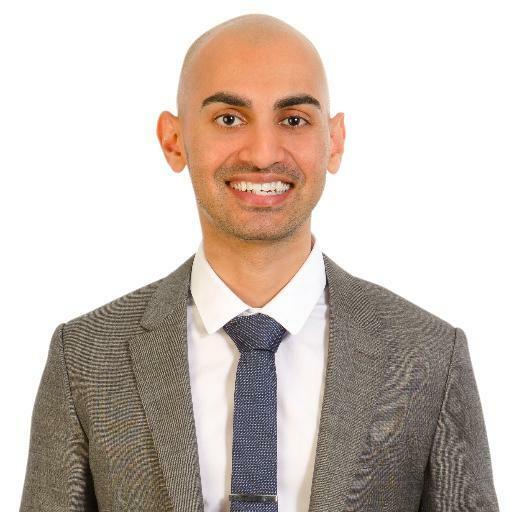 Most articles benefit from suggested next steps, which gives your specific audience guidance on what to do with the information they've just absorbed. 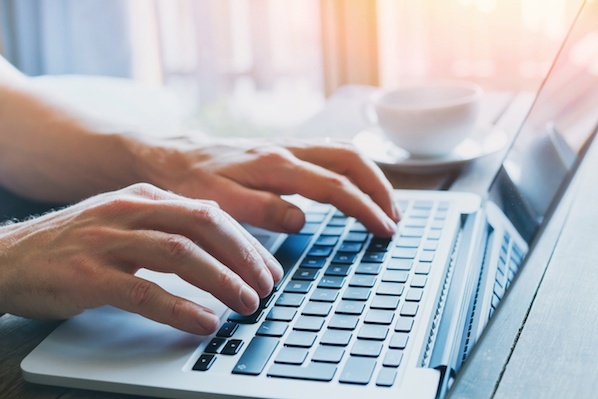 Although some of your readers will read your post and know exactly what they should do, but it's more likely they'll need a little direction and encouragement from you. In your conclusion, tell them what to do. 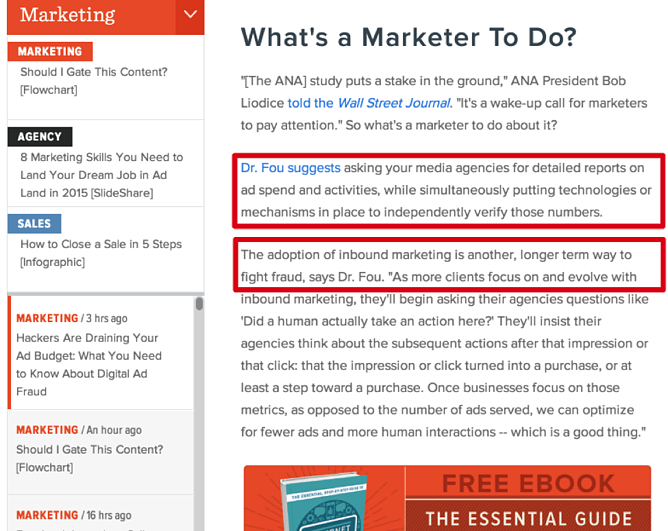 Below is an excerpt from the conclusion of a HubSpot article on digital ad fraud. 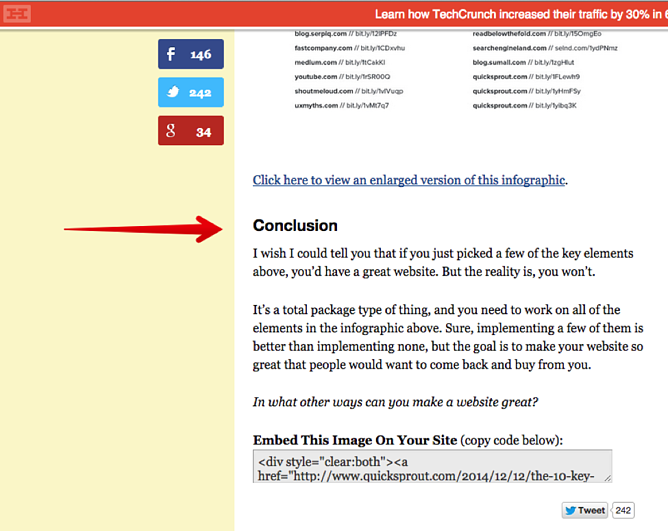 The author includes several suggested next steps for HubSpot's readers, which I've shown using red boxes. At the end of almost every article, I ask my readers a question. Questions demand responses, so placing them in your conclusion gets people’s minds moving. 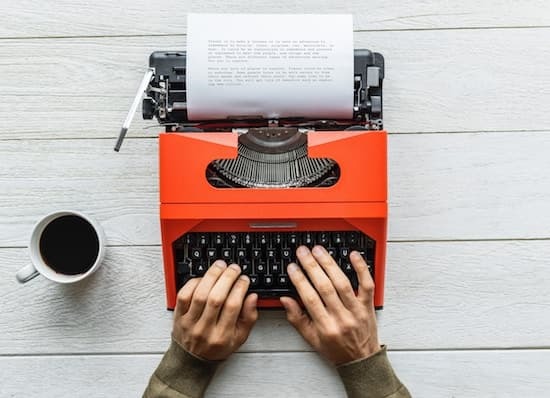 The whole motivation in writing an article is to change someone’s behavior, and I consider the question to be one of the most effective ways of doing so. Questions also help to spark comments at the conclusion of the article. I don’t expect the comment section to be full of answers to my question, but it sometimes gets people talking. Below's an example from Buffer’s blog -- they often include a question or two in the conclusion. Questions inspire response. Here's another great example of a powerful conclusion from ShopifyNation.com. Notice how their articles end with a “Conclusion” that is short, summative, personal, picture-free, suggests next steps, and includes a question. Now I’ve come to the conclusion of an article about writing conclusions. What am I going to do? Easy. I’m going to summarize the main points: Call it a conclusion, make it short, be real, don’t use pictures, provide disclaimers, summarize the article, suggest next steps, and ask a question. If your conclusions aren’t powerful, then they'll weaken your whole article. It takes some practice, though -- so bookmark this article, and check off each item the next time you’re ready to write your own conclusion. What tips do you have for writing more powerful conclusions?